It can be difficult to find decent options for where to buy CBD oil and hemp extract, so I figured I'd put together a page here that helps you identify the best retailers to buy from. I've compiled some options for you here on this page, but I'm not sure how long they will be available since I don't have access to their inventory. The gummies especially seem to sell out lightening-fast. I will continue to update this page as I find more reputable options, or as companies get shut down by the government. Before getting into it though, I want to convey how CBD retailers get to be on this list. The company offers 100% money back for unopened products, and an easy returns system for opened products. We only choose companies who get their starting material from local U.S. farmers instead of from overseas. Regardless of the product type, they should use safe and non-toxic ingredients. Preferably all or mostly organic. The company has a checkout process completely secure and protects your financial and personal information. They have onsite or external verified buyer reviews that potential customers can use to evaluate company & products. The company has a reputation for really taking care of, and caring about, its customers - even when things don't go as planned. Okay so by now you're probably wondering where you can get your hands on some good full spectrum hemp extract and CBD oil. Here are our official recommendations for sourcing CBD. Below you'll find 5 CBD retailers that provide hemp CBD products that meet The Universal Plant's standards. While there are countless more companies out there, we feel that this list will get you started with products you can find success with. We only showcase product lines we feel are safe and have a history of no adverse side effects. Some of the following companies, for example, sell vape products. However, none of their ingredients meet our safety standards. Once we find a vape product that does, we'll post it immediately on this page. If you want to get notified when that happens, make sure you're on The Universal Plant email list. Endoca has an interesting variety of products. They make the top of our list because of their thorough customer education programs, top notch ingredients, dedication to their customers, and they provide products with different cannabinoid profiles for consumers to experiment with. Their prices are reasonable for the quality provided. 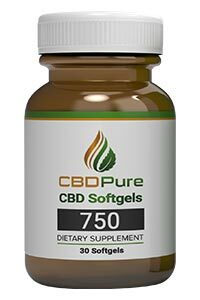 CBDPure has a solid range of tincture products available, from 100mg to 600mg per serving. They specialize in tinctures and boast about their 100% natural process and products. They also recently came out with a softgel product if you're averse to tinctures for any reason. NuLeaf also specializes in tinctures. They have a large range of tincture concentrations for humans, and a good selection of tinctures for your pets that have amazing reviews from happy owners. Just like most retailers offering pet tinctures, it's likely that there's no difference between their human and animal tinctures other than labeling, so if you want to save some money, get a tincture that you and your pet can share. My fibromyalgia pain has gone from a 10 to a 2 and I've just started a week ago .. I bought the 240 mg and take 2 drops twice a day. Even my stomach ulcer has not giving me trouble. And my panic attacks and anxiety is Amazing. I sleep so much better. A life change for me to get off all my other meds in due time. Shipping was amazing and I've placed my second order already. I've also bought the spray vanilla flavored. To be honest I love the oil drops better and the taste is not that bad for long, and seems to work better. I've waited for this for a few years to change my life. Almost everyone who tries Hemp Bombs never looks back. Their customer base is die hard for their products, and they have an extensive line to choose from. If one form of CBD doesn't work for you, you can try another delivery method from the same brand. "First I'm not a medical professional and this is Not medical advice. I am 39 and have been diagnosed with multiple sclerosis (MS) since 2010. Some of my symptoms are vertigo, dizziness, nerve pain in my ear, muscle spasms, and restless leg syndrome (RLS.) I live in a state where medical and recreational marijuana are both legal. Medical marijuana is said to help nerve pain and muscle spasms in MS. My problem however is that if it has any THC my vertigo and dizziness become severe and debilitating. Enter CBD gummies. No THC but all the healing parts of the plant! After just one use, my nerve pain and muscle spasms were cut in half within 10 minutes. That day I used another gummy before bed and, wait for it.......No RLS issues! I could actually lay in bed and Not have my legs kick around or have any of the itchy/tingling feelings that come with RLS. I was actually able to sleep! My MS neurologist has prescribed about 6 different medications trying to help me with these symptoms with no luck. She even prescribed medical marijuana but I couldn't handle it because of the dizziness and vertigo it caused. I won't say that this oil cures anything But it does make my life Much more Comfortable! I can actually get a good night sleep because my legs are finally still, it's wonderful. I'm almost brought to tears. "I am a single father of 3 teenagers and financially I do ok but don’t make a whole lot of money. I'm telling you this because with kids and money issues I got a lot of pressure and stress on me and have for at least the past 8 years. The kind that keeps you up at night worrying, sometimes so overwhelming that you have paralyzing panic attacks or just break out in a "I don't know what the F to do" sweat... Oh. my kids are all teenagers so just imagine that. I recently started taking these gummies daily, I'm at 2 gummies and that seems to be working best for me. So the good news for me is that my stress and anxiety are gone. Sounds unbelievable. The change is subtle came on with out me noticing it, with no big Boom or Wow, just realized "Hey, I'm not freaking out, I'm not overwhelmed, I'm sleeping better, I can focus on the issues and problems in my life and work on solutions.. I know that anxiety is real and mine was real, not crushing or stopping me but always there. Now its not." Helps with pain, without the high. "Helps with pain without the high. Had to lay down because of debilitating back pain. Took my CBD gummies & laid down on the sofa. A little later had to get up to the restroom and was all the way to the restroom door before I was aware that I had NO pain. Just what I was looking for, pain relief without sedation. Thank you Hemp Bombs." Lastly, CBDFx is another great option for those looking for a retailer with a wide selection. Like Hemp Bombs above, CBDFx also has an extensive line of CBD products to choose from.